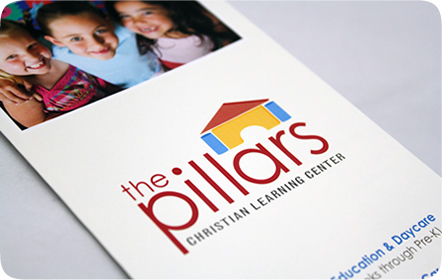 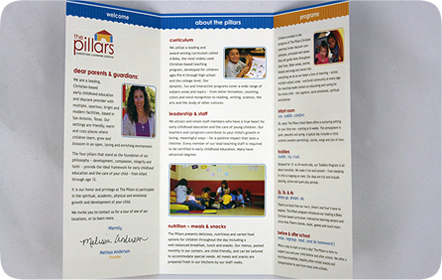 The Pillars Christian Learning Center is a Christian-based early childhood education and daycare in San Antonio that accepts children up to the age of 12. 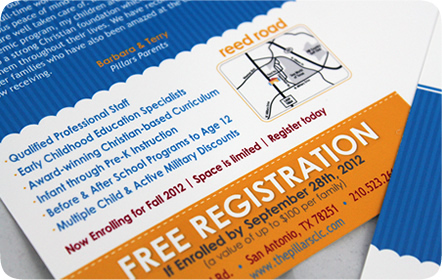 This daycare with an award-winning curriculum was seeking to rebrand and reposition themselves as a premier childhood education center. 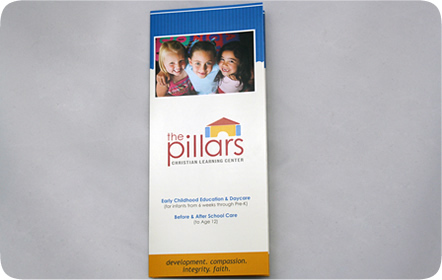 It needed to have the perfect combination of childhood and professionalism, and we rose to the challenge. 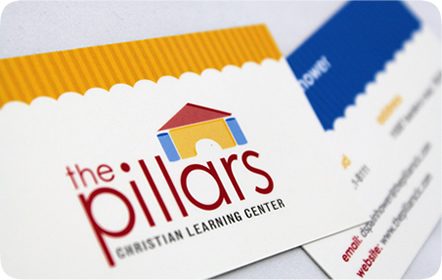 The bright, primary colors of red, yellow and blue serve as the main color palette for The Pillars CLC, the very colors of many children’s toys. 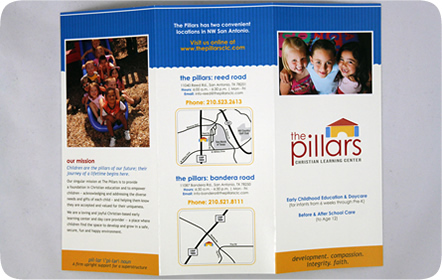 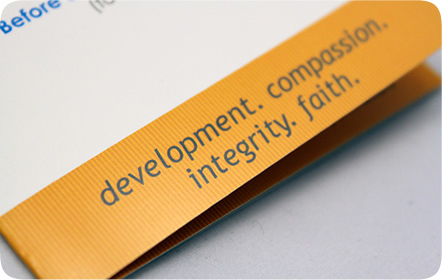 These colors, along with stripes and arches, drive each of our print designs from the brochures to the business cards. 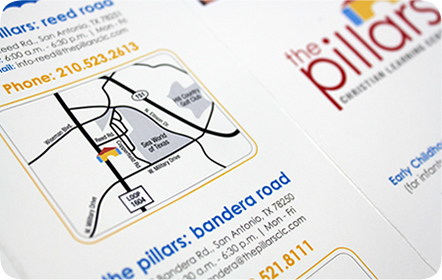 The direct mailers advertising their new locations are striking and eye-catching with bold colors and large, rounded font. 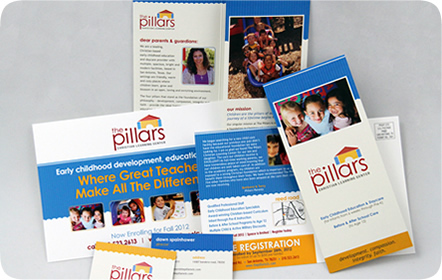 They easily stand out in any stack of mail. 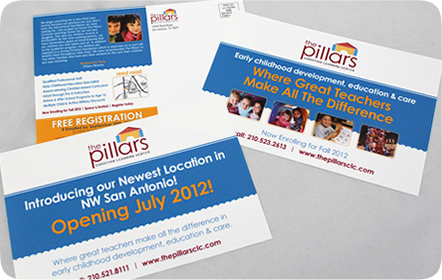 Along with these smaller pieces, we have designed several billboard ads and their location signs that can be seen from any distance on the road to or from their two San Antonio education and daycare centers.